Young adults invited for April events in Northeast Phila. 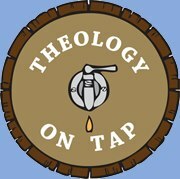 Theology on Tap Northeast offers a schedule of events each Monday evening in April for young adults in their 20s and 30s to gather for casual eating, drinking and faith-related discussion. The events begin at 7:30 p.m. at Gearo’s Grille, 1913 Welsh Road in Northeast Philadelphia. Catholics and non-Catholics, drinkers and non-drinkers are welcome. April 7: “What I Saw at the Gosnell trial,” by J.D. Mullane, news columnist with Calkins Media. April 14: “The Passion According to St. John,” by Msgr. Michael Magee, chair of systematic theology at St. Charles Borromeo Seminary. April 21: “Who is the Holy Spirit,” by Father Steve DeLacy, vocations director for the Archdiocese of Philadelphia. April 28: “St. John Paul II: The Measure of Mercy,” by Sister Sheila Galligan, I.H.M., professor of theology at Immaculata University. For more information find Theology on Tap Northeast on Facebook.